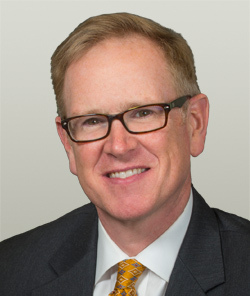 Neal W. Heery is a Brookwood shareholder and advisor. He also is a Founding Partner of Atlanta Fine Homes / Sotheby’s International Realty, and the Number 1 producing small team leader. He has more than 24 years of experience in residential and commercial real estate development, management and sales. Neal has been an Atlanta Fine Homes agent since November 2007. With more than 27 million in annual sales, Neal and George Heery (The Heery Brothers) were the 2008, 2009, 2010, 2011 and 2013 #1 producing small team companywide. In 2008, The Heery Brothers were named the #1 team in the Atlanta Board of REALTORS® with more than $54 million in gross sales volume, “Team – Small” category and received the Atlanta Board of REALTORS® Phoenix Award. At their previous company, The Heery Brothers were awarded the highest production award for 2007 and were inducted into the company’s hall of fame. The Heery Brothers were also named the #3 producing team in the Atlanta Board of REALTORS® with more than $42 million in sales in 2007. Neal has been ranked in the top 1% of agents nationally since 1999. He was also the #2 Individual agent in the Atlanta Board of REALTORS® in 2006 and Atlanta Board of REALTORS® Multi-Million Dollar Sales Club every year since 1995. He is the six-time recipient of Presidents Premier, Elite or Circle awards. Prior to his residential real estate career, Neal was responsible for pursuing management, development and acquisition opportunities for a full-service medical office building brokerage, HealthAmerica Realty Group. He located, brokered and developed several medical office buildings in Georgia and Florida. As an employee of Brookwood Group in the early 1990s (when the firm was known as Satulah Group), he worked on the conversion of retail facilities for Chemical Bank and Manufacturer Hanover Trust’s merger. He was responsible for 140 branches on Long Island, led the survey team, updated as-built drawings, prepared construction and signage recommendations, ensured compliance with building codes, ADA and bank retail program. Neal holds a BS in real estate and finance form the University of Mississippi.